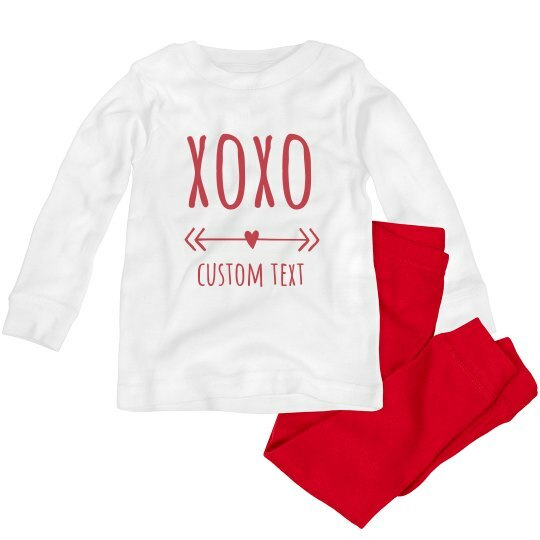 This comfy toddler pajama set bundle is perfect for matching family photos, holiday parties, special events and so much more. Customize the t-shirt with your very own design or even upload a favorite photo to create something unique and one of a kind. Please note: Any design printed in red ink will not directly match the color of the red pants. The red color of the pants is very vibrant, and it is not possible to achieve the same hue with ink. Note: these pajamas are great for family photos, but they are technically labeled "not for sleepwear". Although they are 100% cotton, they do not have flame retardant qualities and thus do not comply with CPSC's children's sleepwear requirements. Give your munchkins all the hugs and kisses that they deserve for their cuteness! Customize this shirt by adding their names so it's more personalized when worn. They will surely be sound asleep while wearing these jammies! Xoxo!